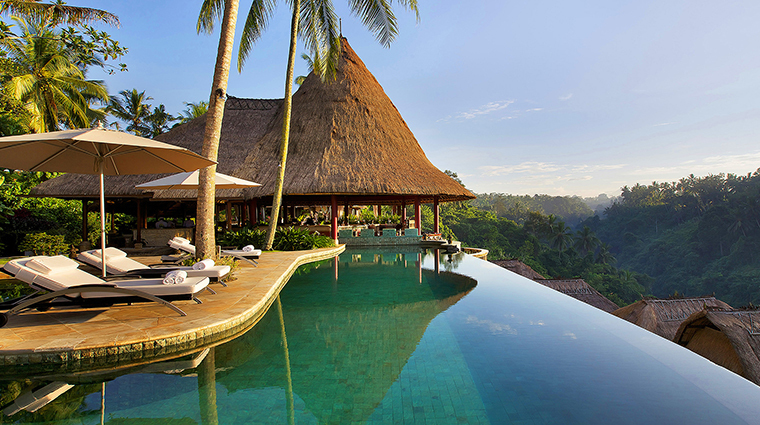 Viceroy Bali sits perched on a high ridge above Bali’s Valley of the Kings, where shrines and ancient water temples date back to the 8th century. The presence of these ancient artifacts lends an atmosphere of mystery and spiritual grace to this stunning place. 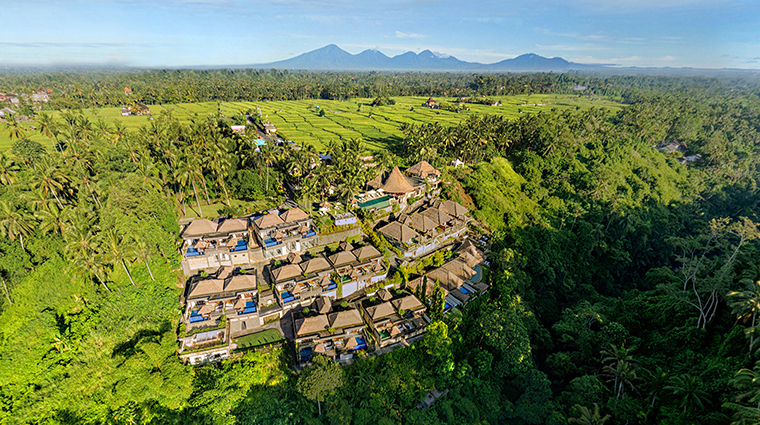 The resort is located just outside of the inland village of Ubud, a little more than an hour from the airport. 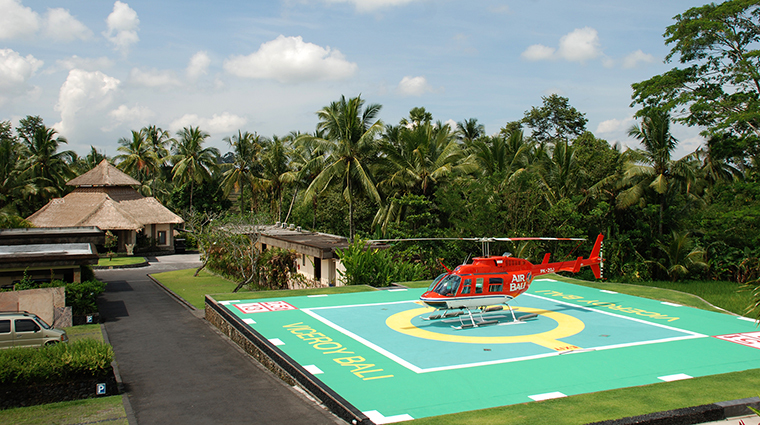 Choose to arrive by helicopter if you wish to follow the breathtaking Petanu River Gorge to land at Viceroy’s private helipad. (It’s a 12-minute ride from the airport and you can easily add a tour of Kintamani Volcano or Bedugal Lakes to your transfer trip.) While the 25-villa resort may be smaller than some other luxury spots, you can expect to be taken care of and then some. 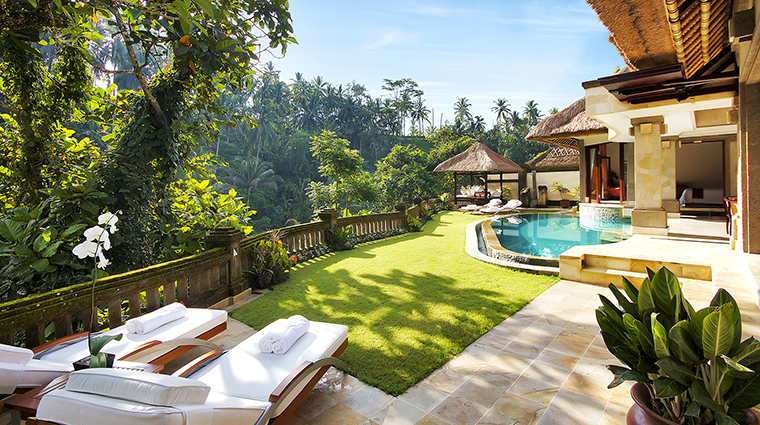 A tropical jungle view greets you from every corner of the Bali hotel, whether you are gliding across your private infinity-edge pool or sitting and listening to birdsong while sipping cocktails at the bar. 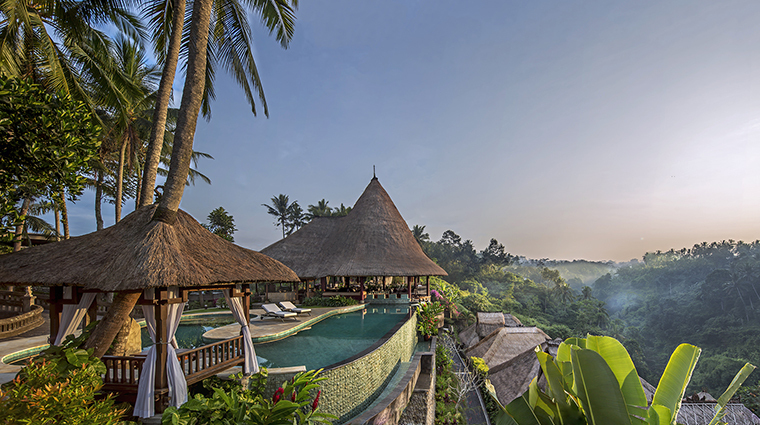 Handpicked exclusive tours, carefully vetted by the owners themselves, take advantage of Ubud’s central mountain-fringed location. King beds with 350-thread-count linens are supremely comfortable and rooms have nice places to admire the series of black-and-white photos that will take you back to the Bali of old. Catch the weekly Balinese dance performance, too — with flowing gold threads and colorful silk, the graceful hand movements of a Balinese dancer, juxtaposed against a dramatic backdrop, is a moment to savor. 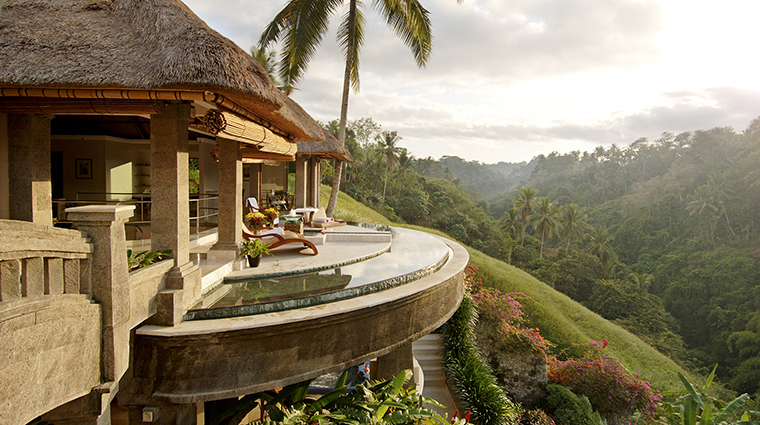 A blend of Balinese natural healing techniques and Swiss massage are what you’ll find at Lembah Spa, which sits high above the valley below in a setting so tranquil you’ll find it difficult to rejoin the real world. 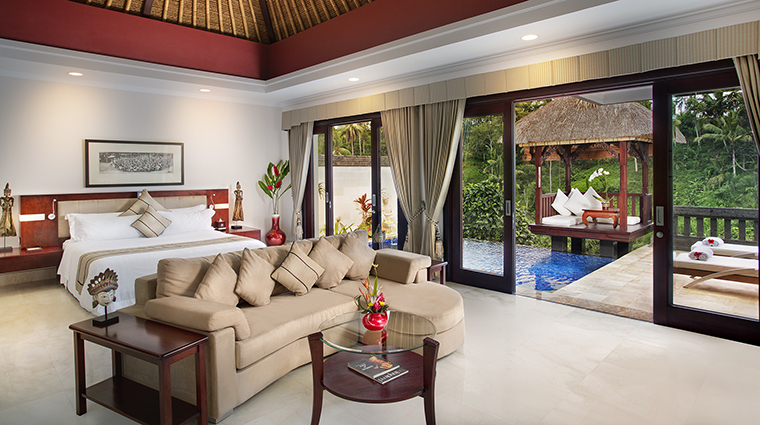 The owners live onsite and oversee a staff that delivers discreet service in a warm and gentle Balinese way. Take an elephant safari ride at nearby Taro Village or a sunrise volcano trek or even a thrilling ride on the back of a Harley-Davidson. As it is said in Indonesia, semuanya bisa diatur: everything can be arranged. There are five different types of villas, but the two-bedroom Viceroy Villa has a large private grassy lawn with sundeck chairs and a 49-foot pool, a lovely garden and ample opportunities to lounge about. 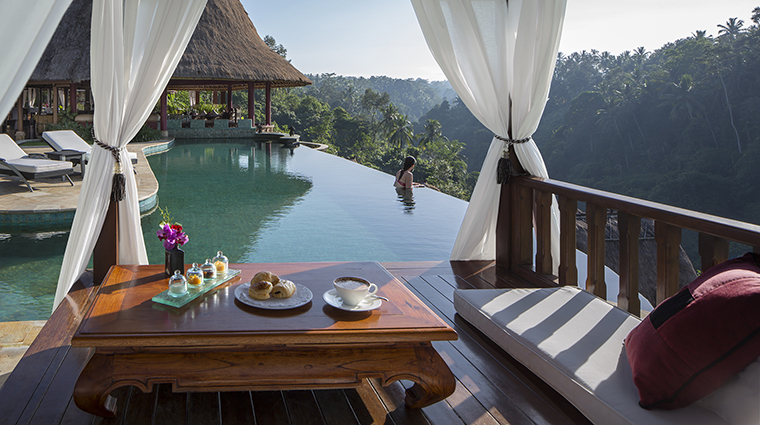 Perched high on a hillside, the villas each have private pools (some plunge pools, some infinity-edge pools). They all overlook the jungle valley with breathtaking views. The look is traditional furnishings with a Balinese twist — think vaulted thatched roofs, stone floors, dark wood furnishings and four-poster beds. 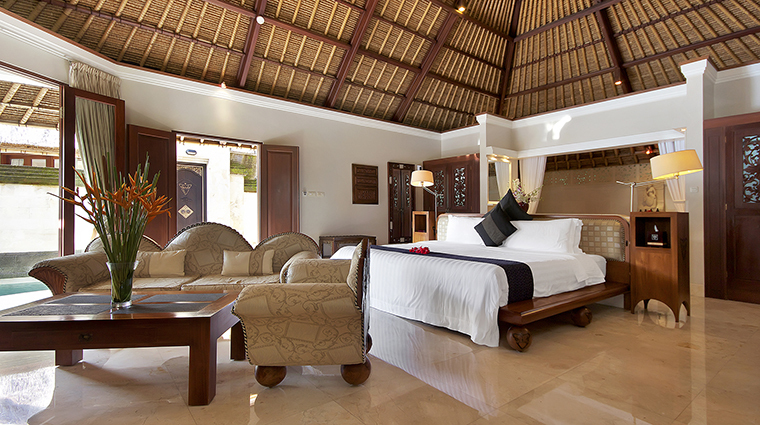 All villas come with air-conditioning, espresso machines and Bang & Olufsen sound systems. Spacious marble bathrooms have twin vanities and come stocked with local natural bath products. 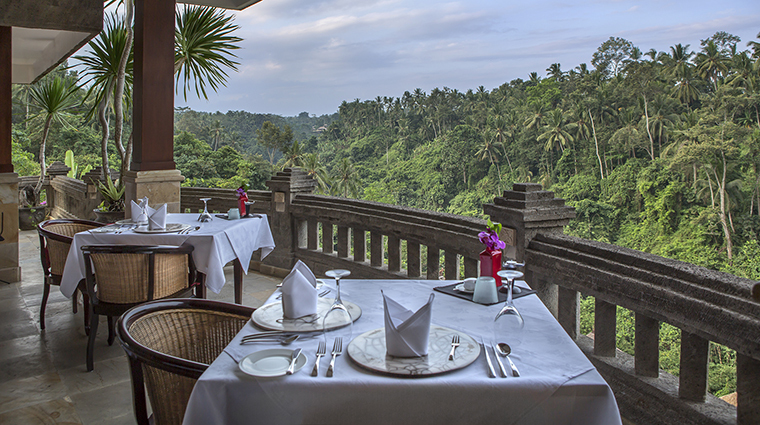 The luxury hotel’s Cascade Restaurant is well known in the area and recognized as one of the premier eateries in Indonesia. The European chef creates tempting dishes such as duck canneloni followed by fresh poached Canadian lobster with beetroot oil and roasted New Zealand lamb rack with bell pepper crème and mint rosemary foam. The fine-dining menu combines European and Asian influences with strong creative flair. If the timing is right, the weekly resident piano recital will add to the flavor of the night. Breezes blow through the thatched-roof pavilion restaurant and you feel close to nature surrounded by the gorgeous jungle backdrop.